With the installation IM PALAST DER NEUGEBORENEN KINDER (In the Palace of the Newborn Children) Ulrike Rosenbach realizes her latest work, a custom design for the MedienKunstRaum of the Art and Exhibitions Hall of the Federal Republic of Germany. Through a narrow entrance, the visitor enters a long octagonal room, the sides of which are made up entirely of video screens. From these projection areas, oversize images of children moving in a slow rocking dance look down on the visitors, encircling them with their roundel. The portraits of the children seem serious, blown up, almost gigantic, and they are underlined by a sound composition of a deep, monotonous heart beat and by electronically distorted children’s voices. 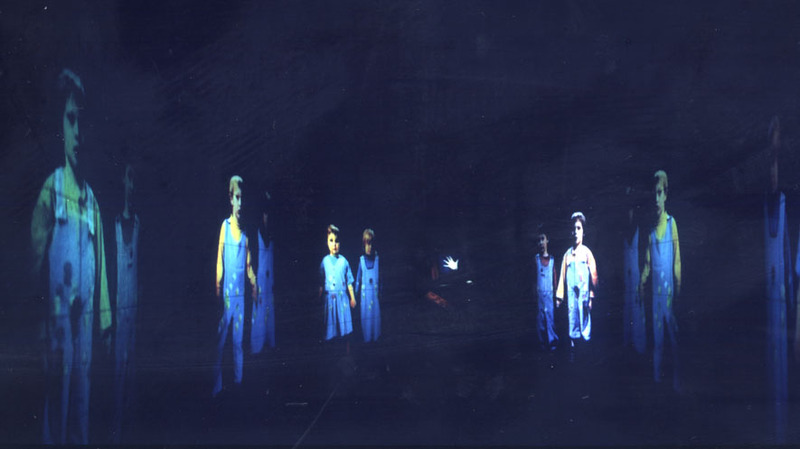 The image of a computer monitor seems to float on the small front side of the octagonal projection room, displaying children?s palms commented with the words “Life checker”, “Lifesaver”, “Live runner”.This giant ensemble of animated images leaves the visitor in a helpless state, confronted with a kind of juvenile violence that demonstrates its power with a combination of awareness and static personality. 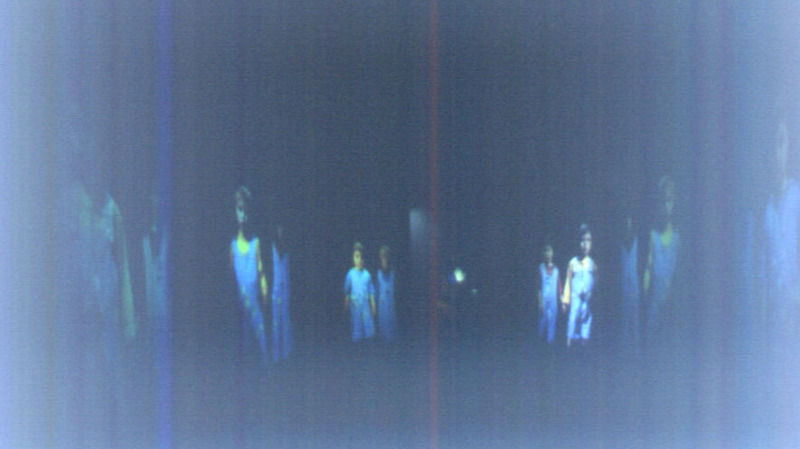 In the narrow image space of the walkable installation, the artist confronts us with a future vision of children who appear as half human, half android—fictitious images of a world that appears as a mirror of the torn inner condition of our society. The children as a metaphor for the future and a new start full of hope are questioned by the form of the installation and become uncertain carriers of a future draft of the world.